Come Visit Us In Norwood! We are located behind Jim's Automotive Center. The driveway to the K&C Music building is located to the left of Jim's. 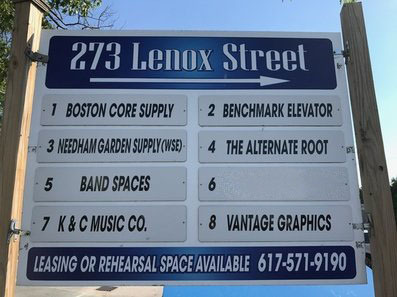 You will see the 273 Lenox Street sign at the beginning of the driveway. Follow the driveway around the building, where you will see our building and our overhead signs. 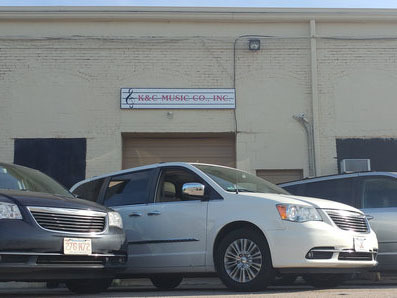 The K&C Music Repair Shop is located on the right as you drive behind Jim's Automotive Center. Enter the building through the black door. Once inside the repair shop door is immediately on your right. The main office is past the repair shop. 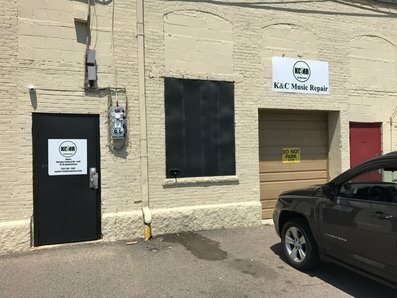 Enter through the door under the K&C Music sign (see picture to the left). Once inside the office door will be to your immediate left.